If you are looking for a striking presentation template to demonstrate your design project and ideas clearly, this free modern presentation template, Pale Dawn, bearing the best of minimalism and tenderness inside, is your perfect choice. 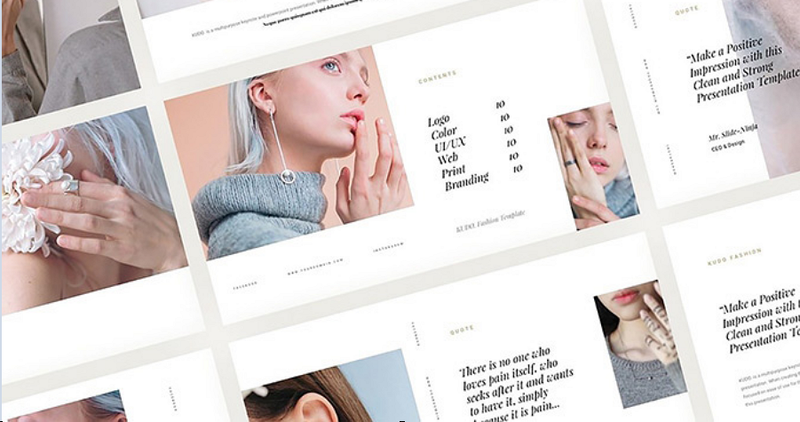 A stunning and professional presentation template always helps designers impress and persuade their audience (including customers, investors and other product design team members) successfully. With this presentation template, you can freely customize your project presentation with tons of elements, maps, charts and infographics according to your own needs. You can also download the Gracious Illustration Presentation Template if necessary.